Oscar Riera Ojeda Publishers, 9789881619426, 368pp. Hardcover in slipcase: Each year, the Graduate Program in Urban Design at the City College of New York travels to a city somewhere in the world that is experiencing a revelatory form of stress. In January of 2006 joined by students and faculty from the Universidad Catolica in Quito and from the architecture and landscape programs at CCNY the destination of the group was the small town of Nueva Loja in the Amazon basin of Ecuador. At the time, a population of around 100,000 was expanding exponentially. Nueva Loja was the fastest growing municipality in the country There was one reason for this: the oil boom. Indeed, almost everyone calls the place Lago Agrio Bitter Lake, after the town in Texas that houses the headquarters of Texaco, the first petroleum giant on the scene. There's no little irony in this name. As the endless lawsuit against Chevron, Texaco's successor, has made abundantly clear, Lago's growth has come at the cost of extremely bitter consequences. The group was inspired to visit by a more particular observation: Lago's projected rate of growth would see the population exceed 150,000 at just the moment the oil ran out. 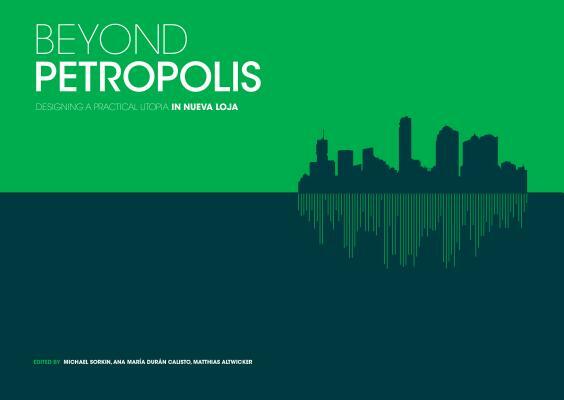 And so, they decided to investigate what might happen then, how Nueva Loja could move beyond oil to an economy and urban pattern that embrace renewed harmony with the natural environment and is dedicated to creating an intensely humane and supportive place for its inhabitants. The projects in this volume represent a series of propositions for such a place. They are utopian in that they look to a time of harmony and prosperity but intensely practical in that they stem from the specifics of people and place and utilize simple, historical, and local technologies, not any magic fix.